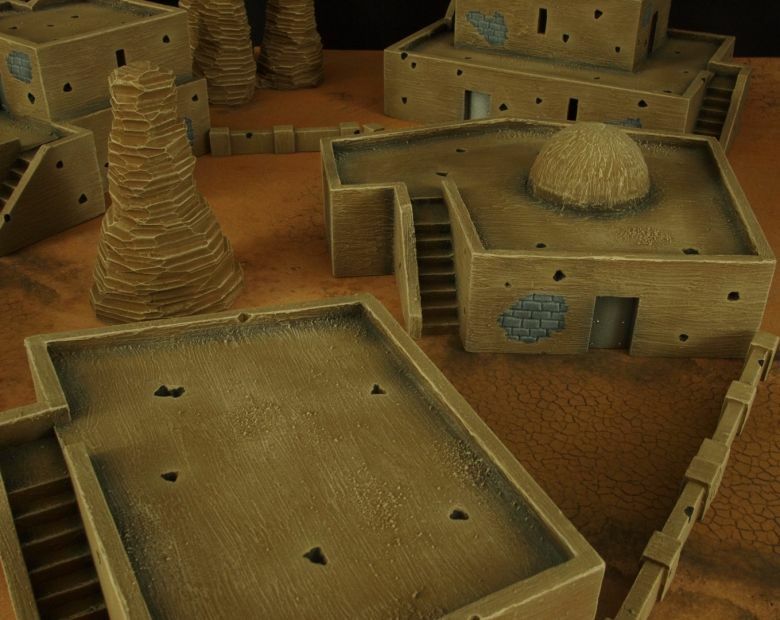 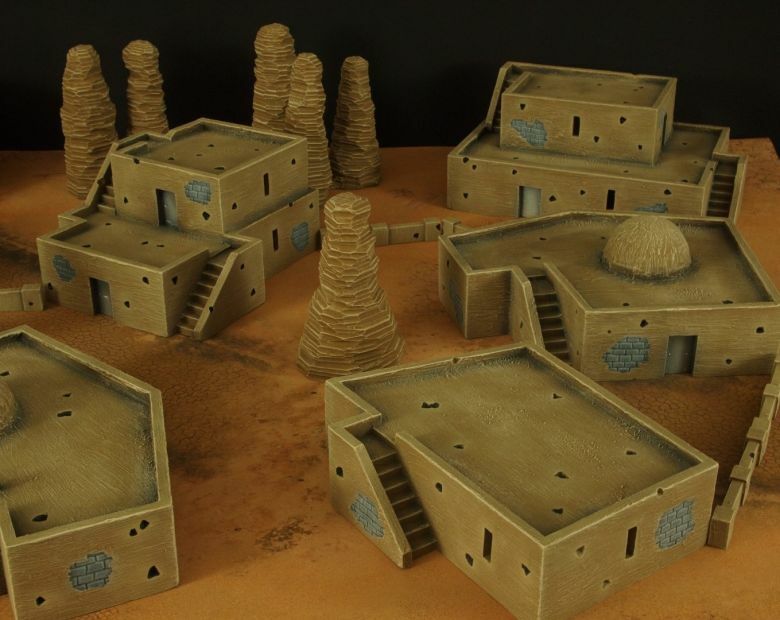 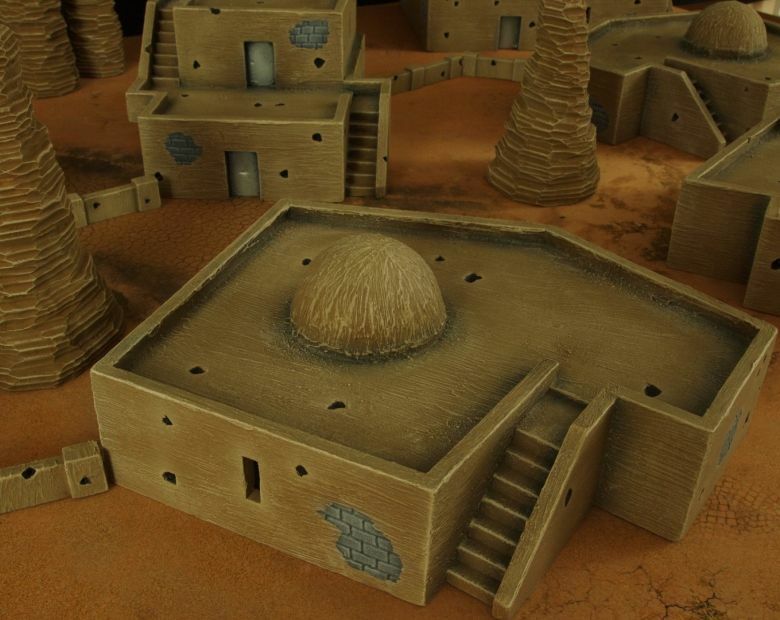 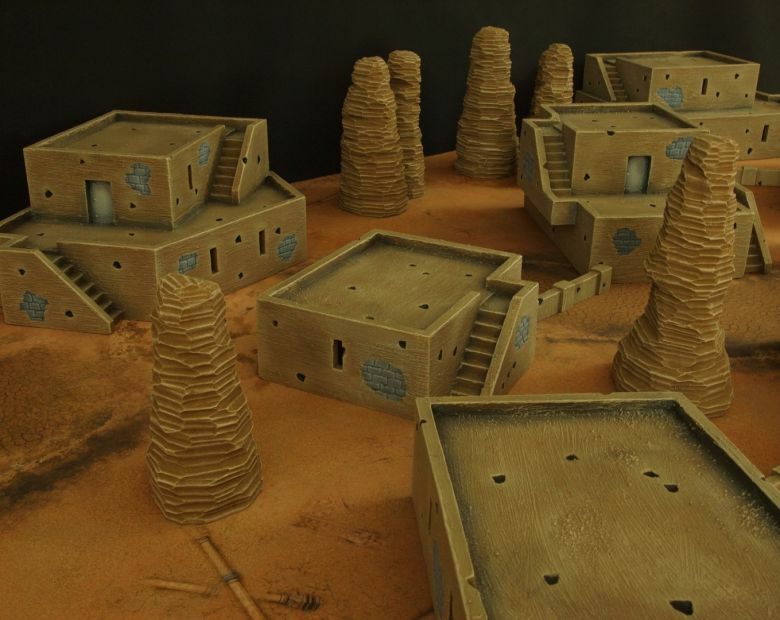 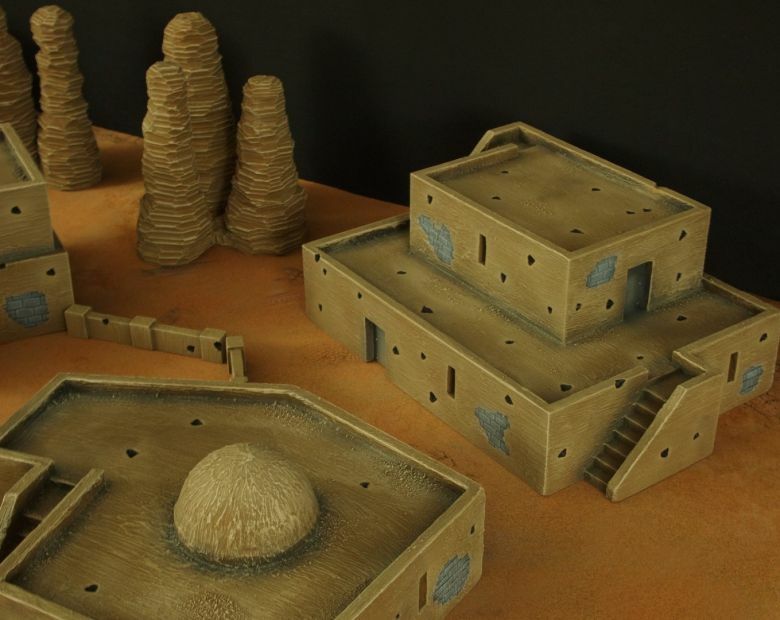 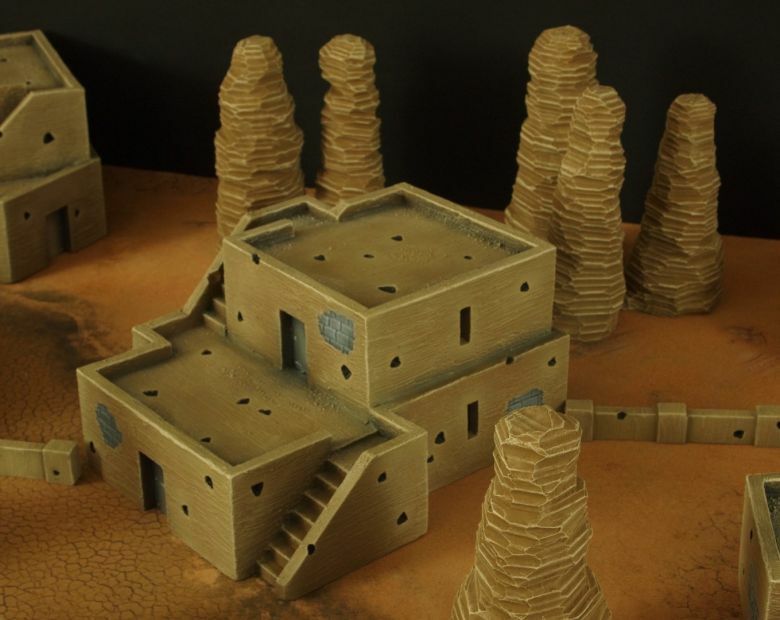 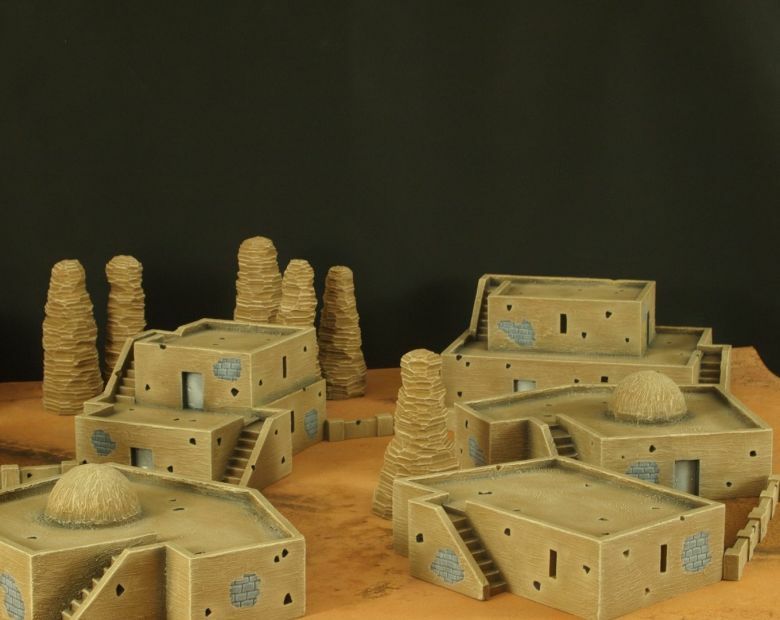 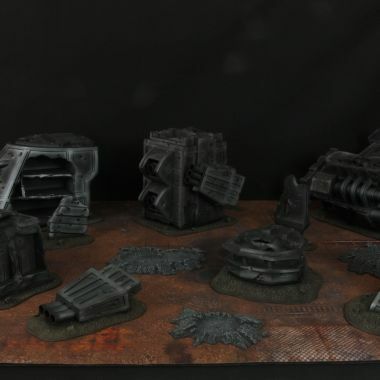 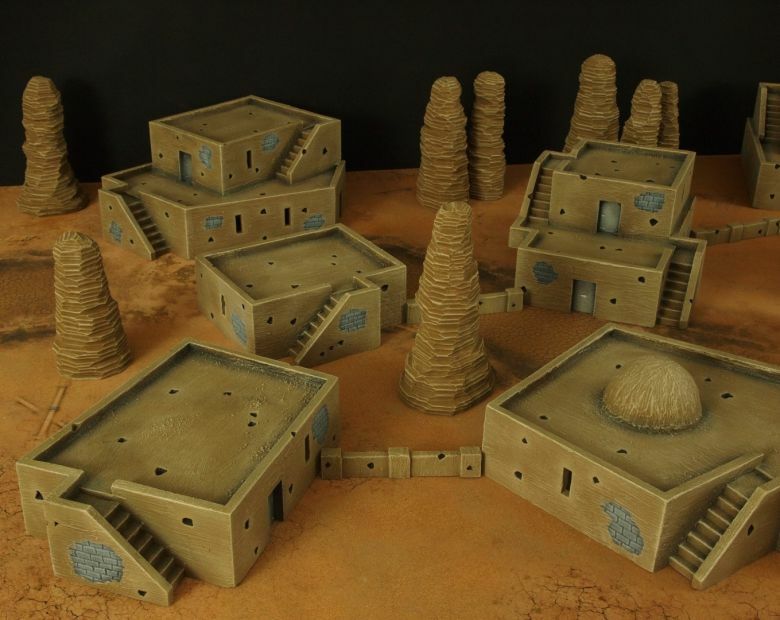 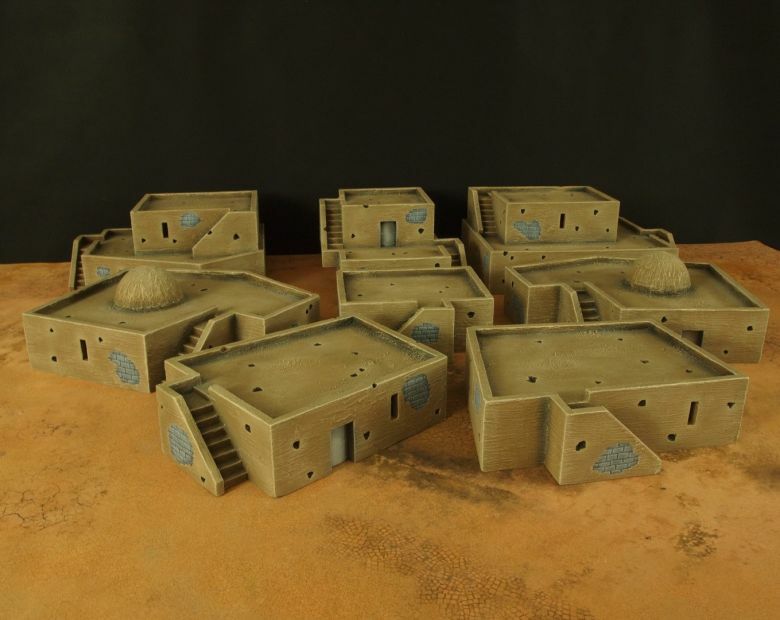 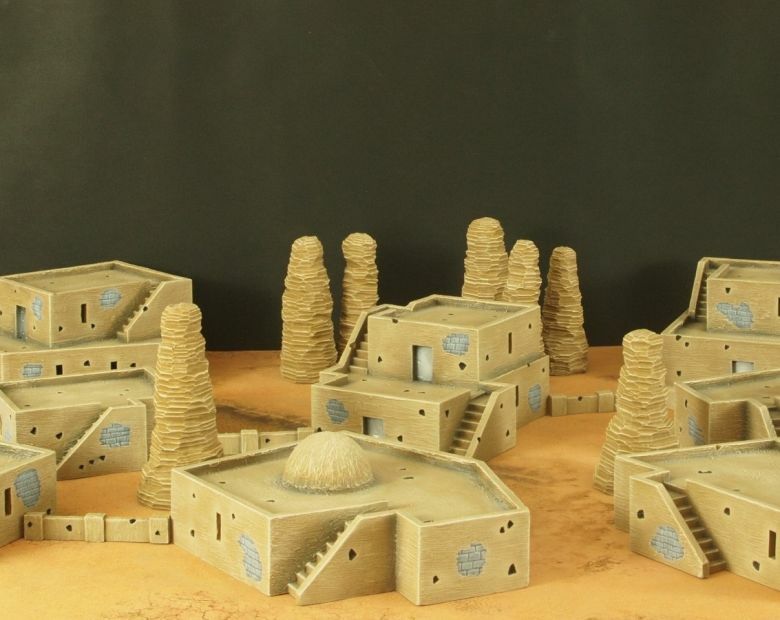 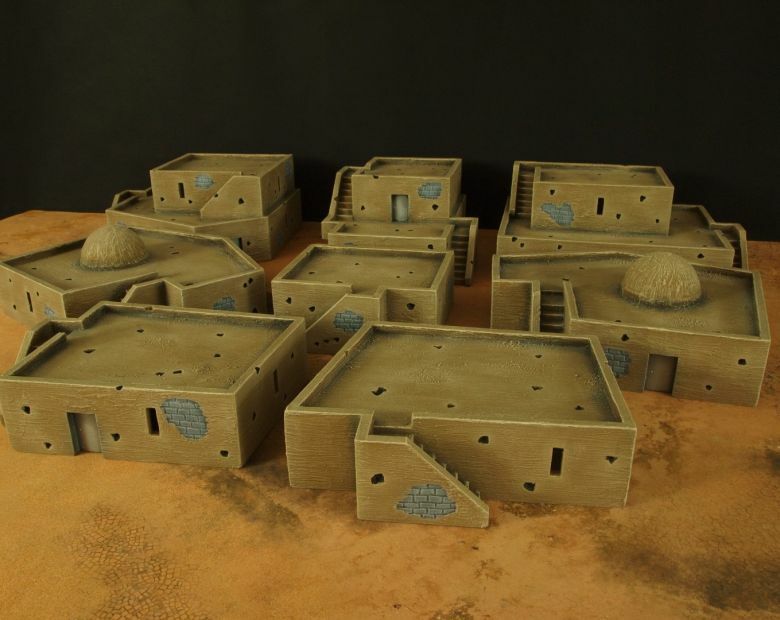 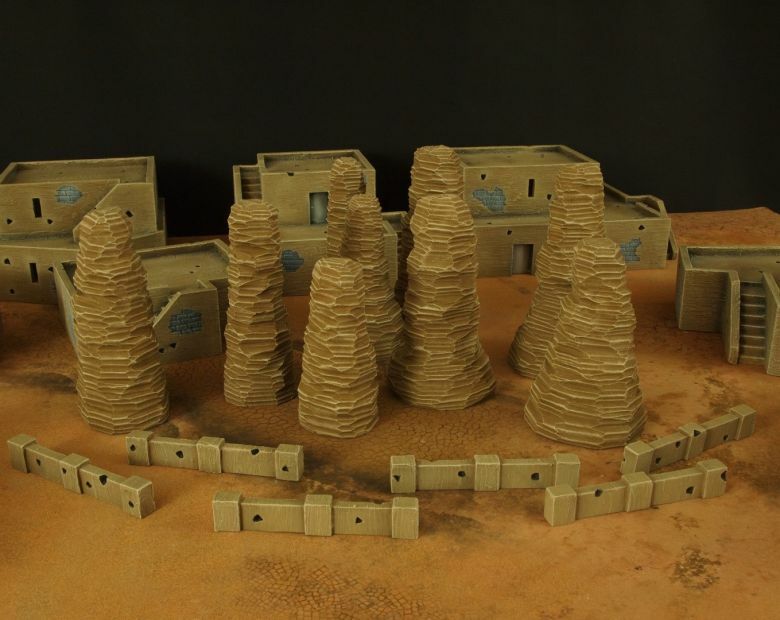 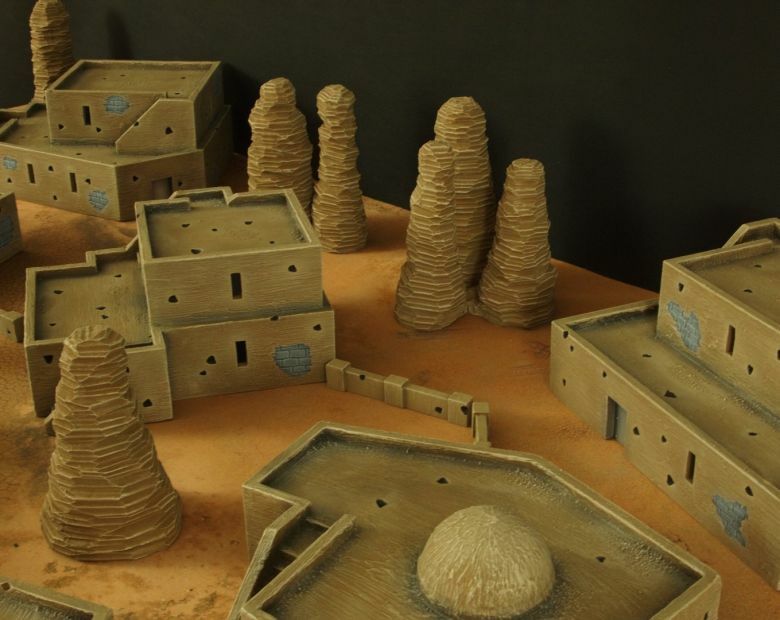 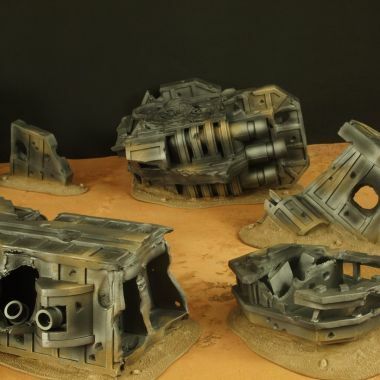 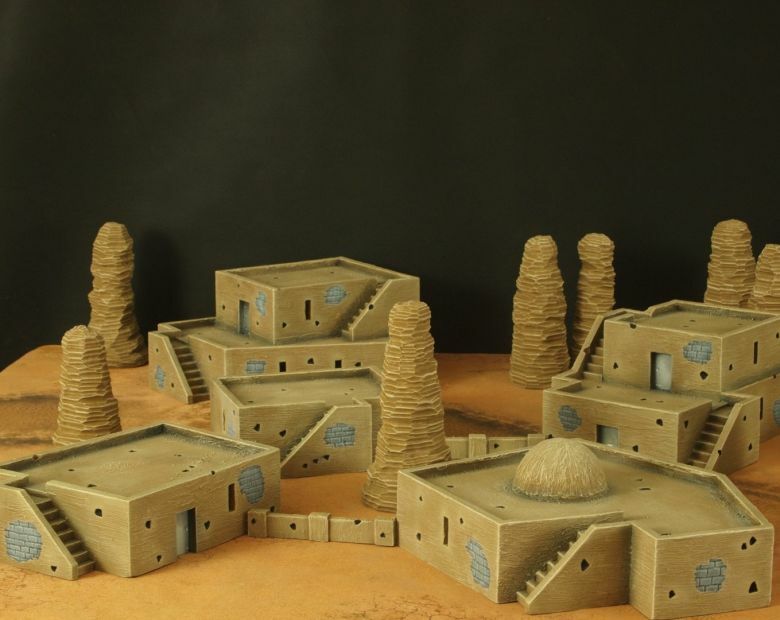 Desert terrain set, combines los blocking rocks, large buildings and some low walls. 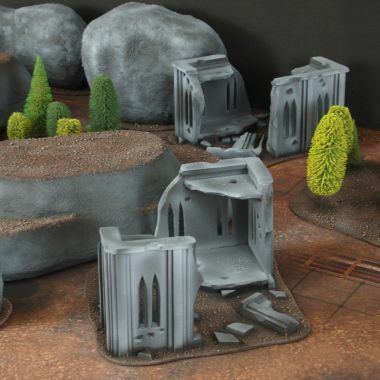 perfect for armies depending on close combat capabilities. 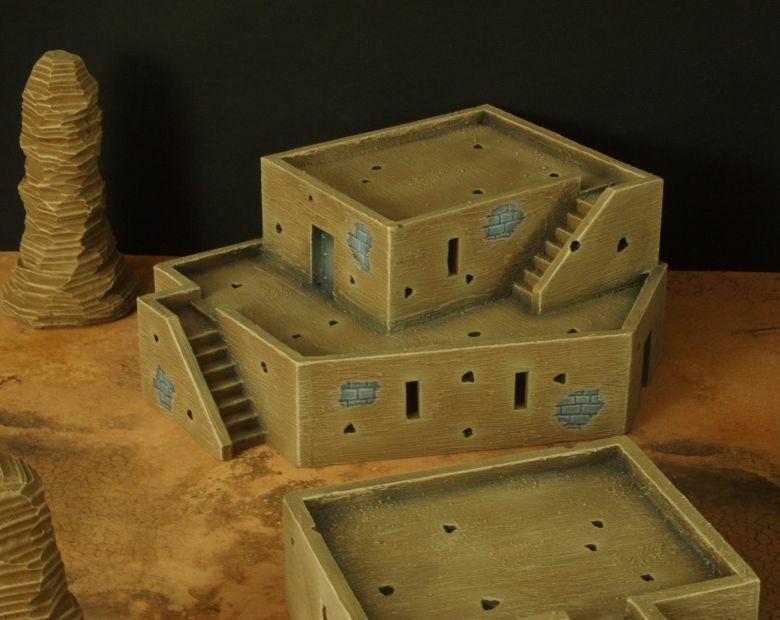 Upper floors provides also some firing positions for fire support squads. 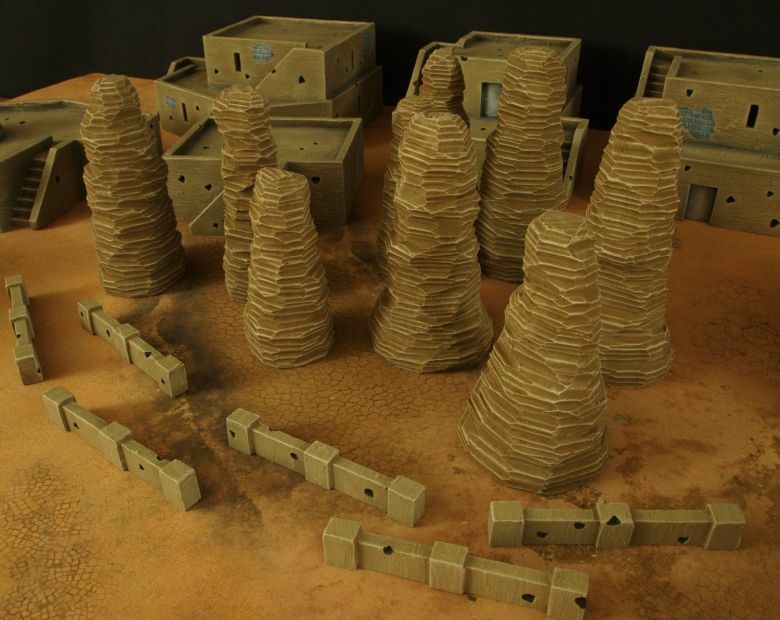 may vary with heavier packages, usual ETA 5-7 working days.